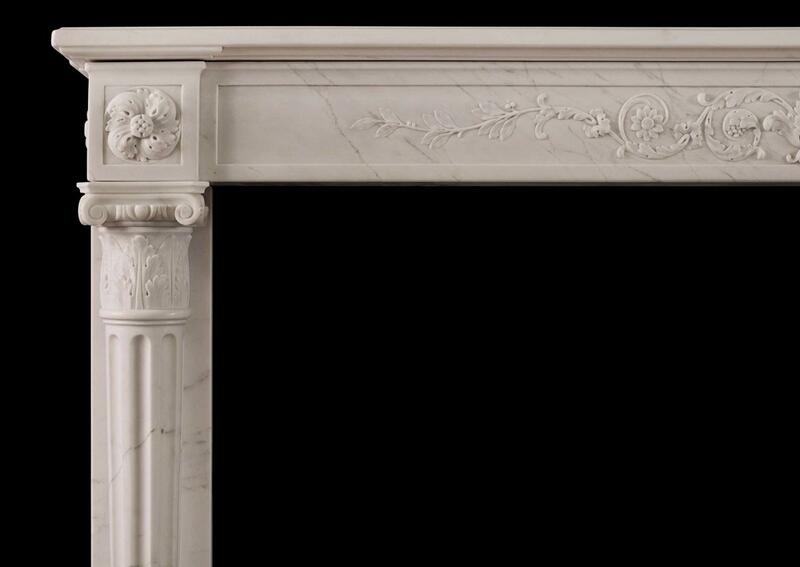 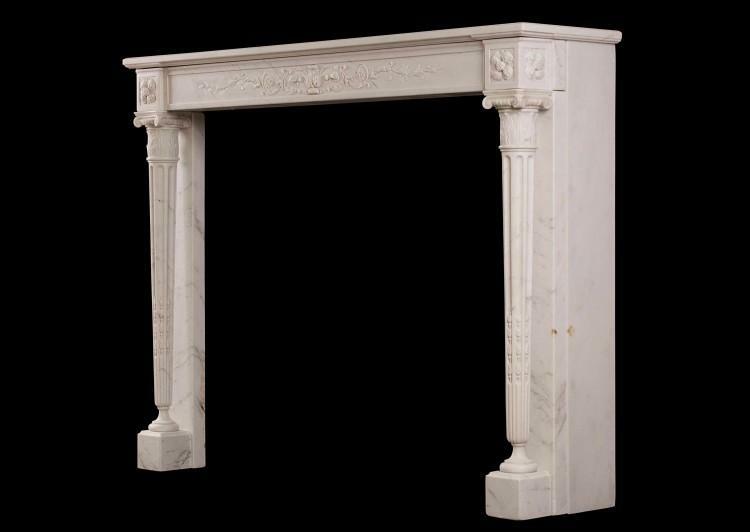 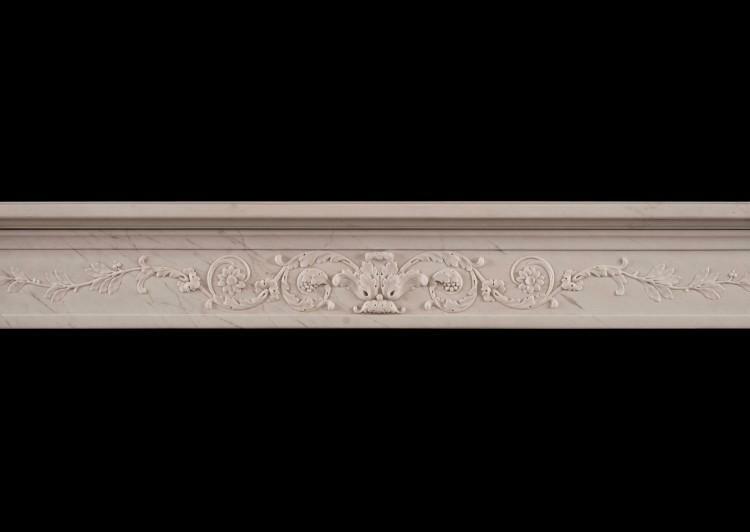 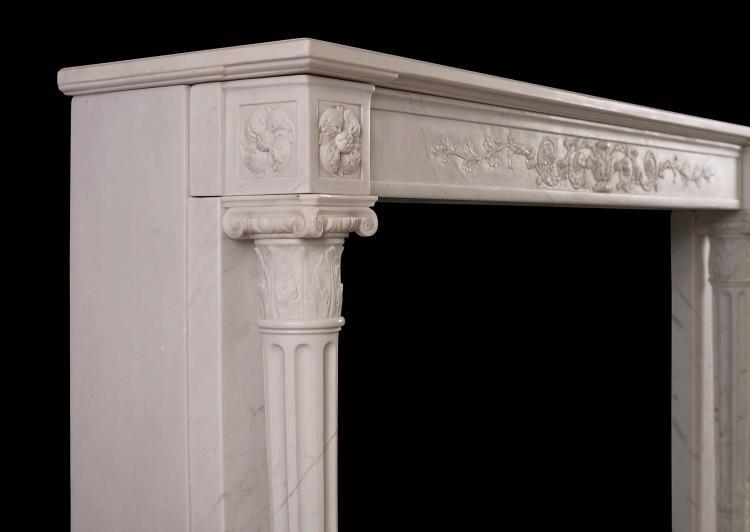 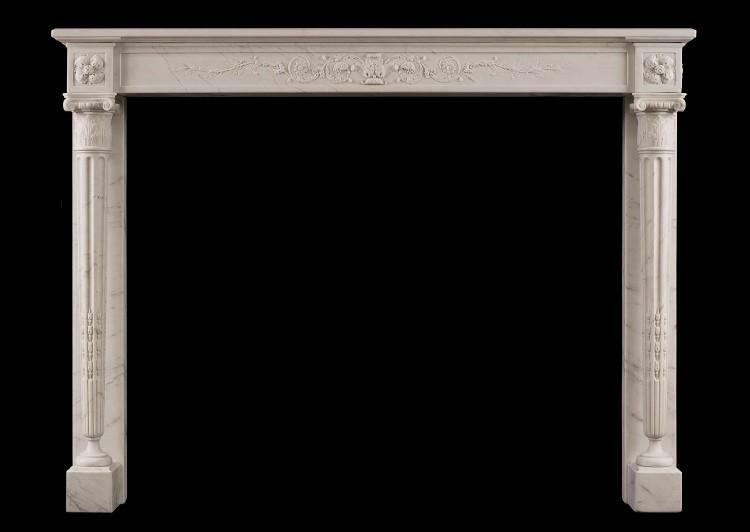 A particularly fine quality late 18th French Louis XVI Statuary marble fireplace. The frieze delicately carved with leaves and foliage, full round tapered and carved columns to jambs, with acanthus leaved and ionic capitals, surmounted by carved oval pateras to front and sides. 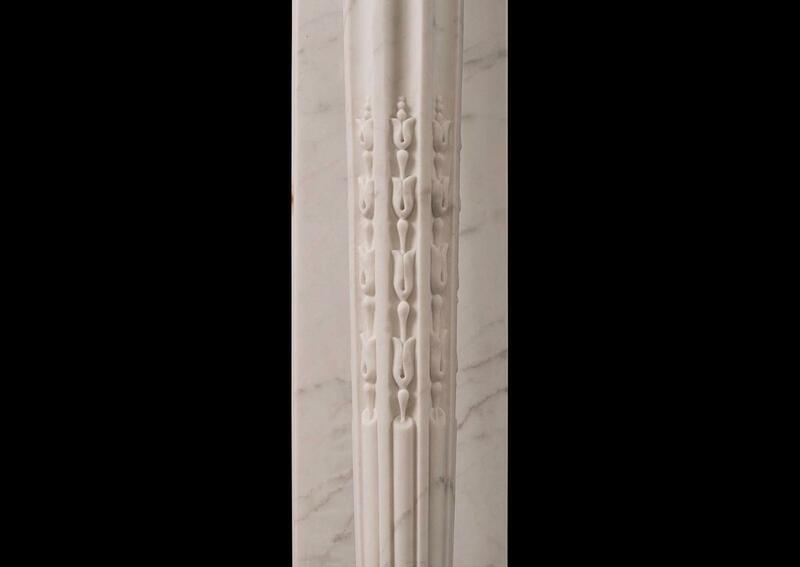 Very fine carving throughout.